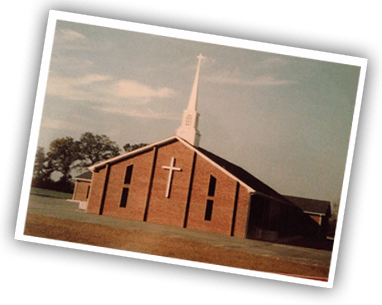 May 3, 2014-As we have just finished Revival this past Wednesday night at Beulah Baptist Church I am pleased to say that it was a true success. God definitely showed up in a big way this past week. We saw one of our teens come and make a commitment to follow Jesus Christ publically and asked to be baptized and join the church. As well, we also saw to of our other teens rededicate their life to Jesus Christ and also would like to be re-baptized. I am reminded by this that God is still on the throne and there are many more who we know that needs to know Christ as their Savior. There are still many Christians who probably need to rededicate their lives to Christ. We often get caught up in the struggles of this life. Being pulled in every direction and most of those directions do not lead to Jesus. When we do not stay focused on our commitment to God then we tend to slip away from Him without noticing it is happening until it has happened. We as Christians would do ourselves a service if we would read Psalms 51 and study it. In this Psalm it is where David is asking forgiveness for the sins he had committed with the incident with Bathsheba. He had fell away from God desiring the lust of this world. We are guilty of this as well at times in our life. We should not condemn David for his misdeeds for we do the same thing. Maybe not the same physical sin but yet the same spiritual sin. Meditate on this Psalm and ask God do I need to pray this Psalm for my life as David did for his own life.